Love should be celebrated as often as possible! 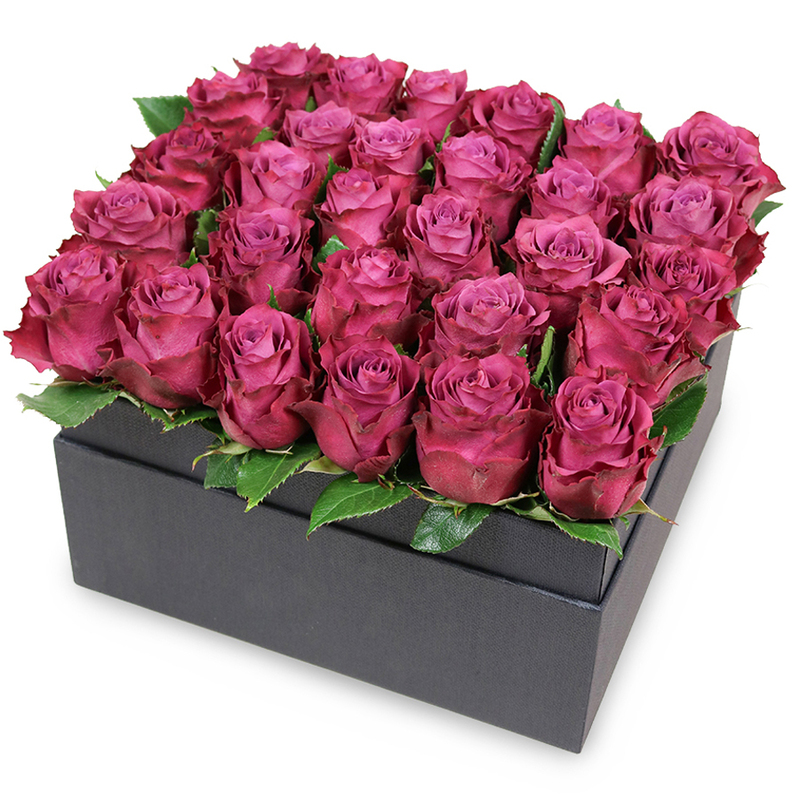 This gorgeous arrangement of purple shade roses is an excellent way to tell her how special she is to you and that your love is just one of a kind! The roses were awesome! My wife was deeply touched and excited to receive them. Big thank you! Totally worth the money. The flowers were of very high quality. 5 stars! The service proved to be what I expected it to be - professional and friendly. Received this box for my birthday yesterday. It was such a nice and lovely gesture that I won't forget. The flowers are really fresh. I was spoilt for choice – so many charming bouquets, all gorgeously arranged! I finally chose this luxurious box filled with glamorous roses. The most perfect gift ever!